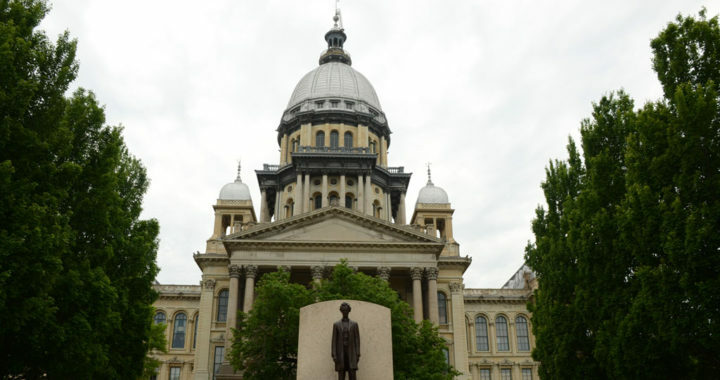 SPRINGFIELD, Ill. — The Illinois General Assembly convenes to conclude the first week of its fall session. The House and Senate on Thursday will continue working through consideration of Gov. Bruce Rauner’s vetoes of legislation from earlier in the year. The Senate worked late Wednesday. It took up and voted to override vetoes of legislation to help immigrant victims of crime get visas to stay in the U.S. and to restrict tobacco sales to those 21 or older . Senators also reversed vetoes on bills to require safety standards for peer-to-peer vehicle renting companies and to raise the limit on damage awards on lawsuits against the state to $2 million from $100,000. It failed to override a veto of a measure that would remove Illinois from the contentious Interstate Voter Registration Crosscheck Program .